While Baby B and I spent a couple days in the hospital, Grandma and Grandpa were in charge of the kiddos. I am very thankful to have parents who are always up for (or requesting) an excursion and are able to outlast their grandkids. This day was no different. 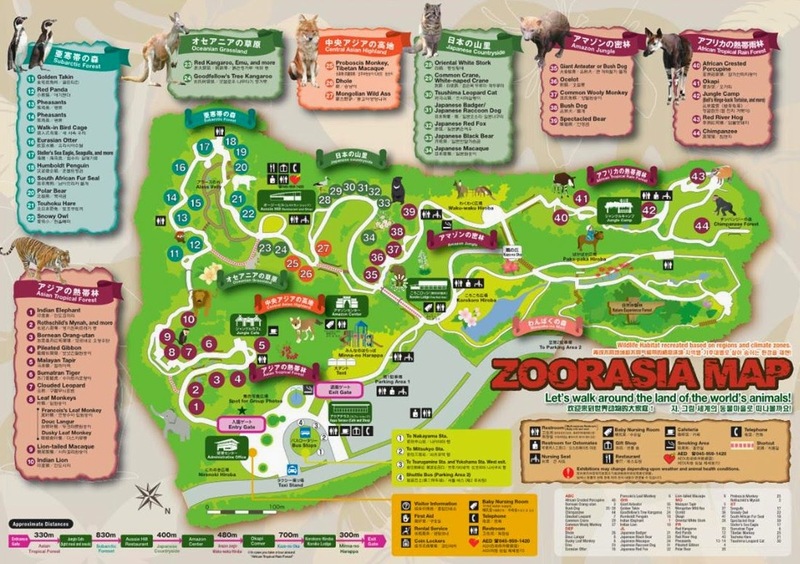 We heard Zoorasia was a fabulous zoo and being just a thirty minute drive out Atsugi's East Gate, a perfect day trip destination . DaddyO dropped them off on his way to visiting me and Baby B at the hospital and they spent the whole day exploring the zoo. And there was a lot to explore. Places to enjoy snacks (food can be carried in). And of course playgrounds to explore. EJ was proud to learn how to ride the zip line all by herself. She did it over and over and over again. CJ was excited to find the ice cream. Grandma and EJ found their daily cherry blossoms. By late afternoon both kiddos were exhausted. DaddyO enjoyed hearing all about the zoo on their drive home.